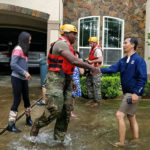 ASCE members continue to step up when their communities are down. 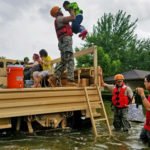 Last month’s record-breaking floods in Baton Rouge, LA, inspired one member’s hands-on rescue efforts, and members of the Baton Rouge Branch have organized recovery events and volunteered their expertise. The Branch has set up a YouCaring account to raise money for the rebuild efforts. Those interested in donating can do so here. On Aug. 12, the Baton Rouge area was hit with a 1,000-year rainfall event. 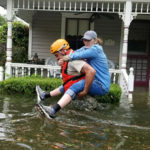 The amount of water – 7.1 trillion gallons – dropped in Louisiana was three times greater than the amount of water dropped by Hurricane Katrina. Approximately 507,500 Louisiana residents have been affected by this flood and 13 people were killed. 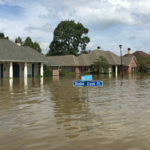 Ninety percent of homes and businesses have been damaged or destroyed in Livingston Parish (similar to a county) alone. While many residents have begun sifting through years of memories and gutting their homes, floodwaters are still standing in some areas. The need to assist in the recovery was instantly recognized by the community, including the Baton Rouge Branch of ASCE. 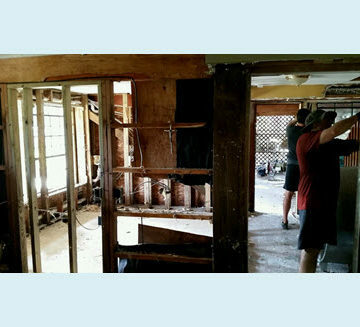 Teams were organized by the local Branch to remove wet furniture, soggy carpet, moldy sheetrock, and warped cabinets, etc. from homes. 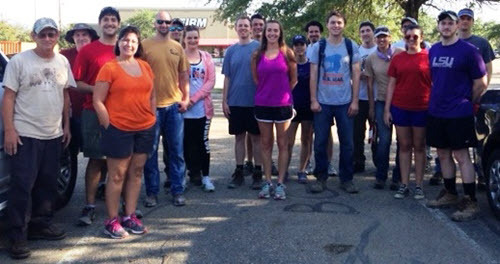 With the assistance of members from the New Orleans Branch, 10 homes, an apartment, and three buildings were cleared Aug. 18-20 and Aug. 27-28 with as many as 40 ASCE member volunteers. As the water has mostly receded and the homes are drying out, the Baton Rouge Branch is gathering the names of members affected so that we can be of assistance. Many of these people live in areas that have never flooded. As a result, most did not have flood insurance because it was not required, the areas not being a flood zone. For those who do have flood insurance, it will only replace a portion of what was lost. Essentially, people are starting over from scratch to rebuild what they had worked so hard to establish. This means replacing sheetrock, drywall, paint, flooring, appliances, cabinets, furniture, clothes – the list goes on. The Baton Rouge Branch plans to be a part of this reconstruction and has set up a YouCaring account to help assist these members. The money in this account will be used to purchase sheetrock, paint, and paint supplies so that ASCE volunteers can help install. Those who wish to contribute to the Baton Rouge Branch’s efforts can do so through YouCaring. If interested in following the progress of the cleanup, please go to the ASCE Baton Rouge Branch Facebook page. I believe the Baton Rouge and New Orleans Branches are wonderful examples of the type of outreach that we should all strive to achieve as members of ASCE.